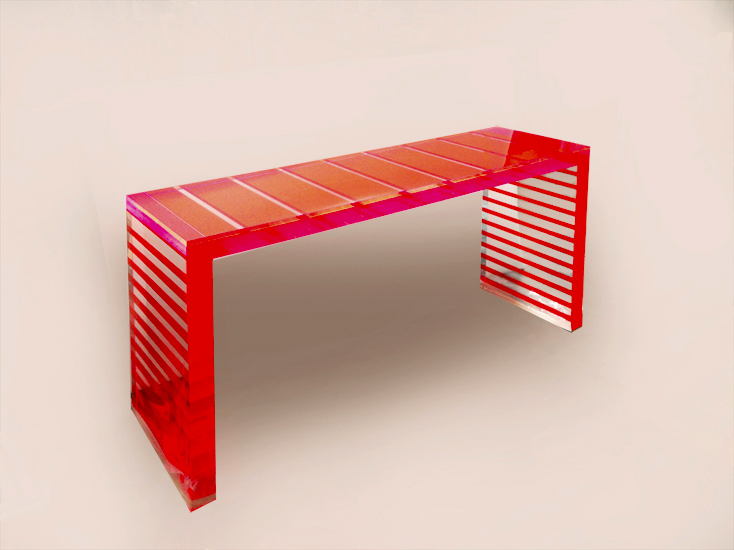 A colored lucite console table that reminds us about the marble dicothomy typical italian architecture of the middle age. 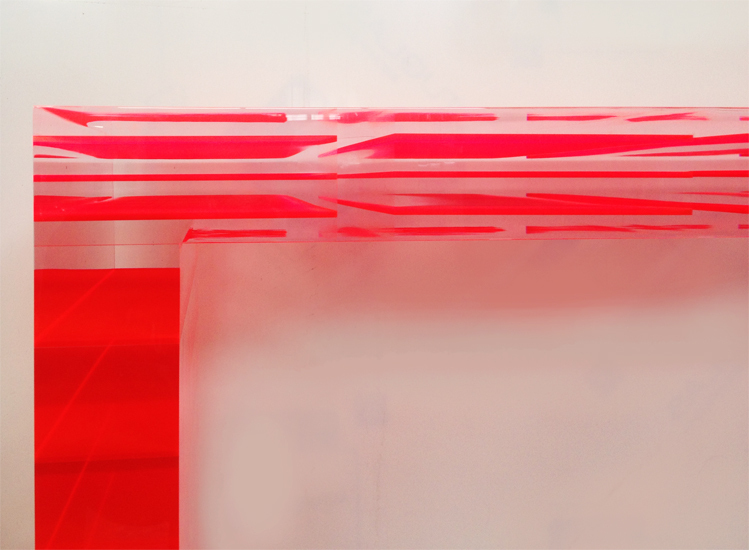 Colored and clear cast acrylic blocks and sheets are joined together to create another crazy effect of light, deepness and movement. The size is mm 1380x610h380. 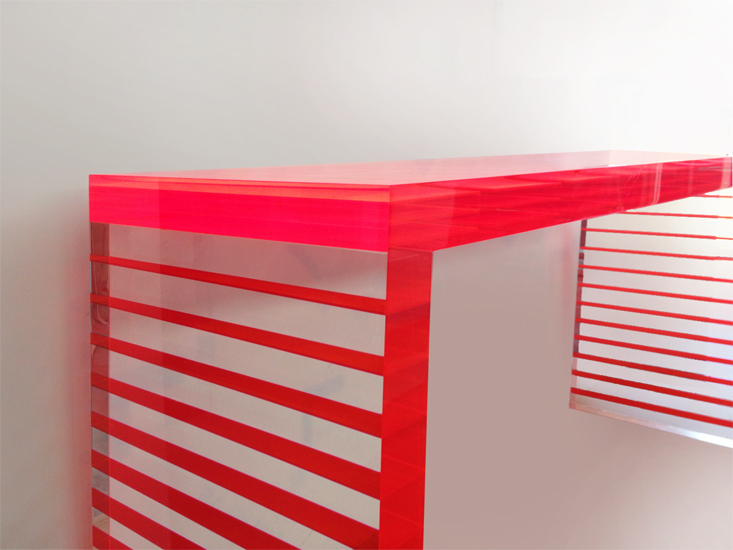 This entry was posted in Novelties and tagged acrylic console table, console table, lucite console table. Bookmark the permalink. Splendido come altre console. Ma vendete anche on line? Come faccio per sapere i prezzi ?